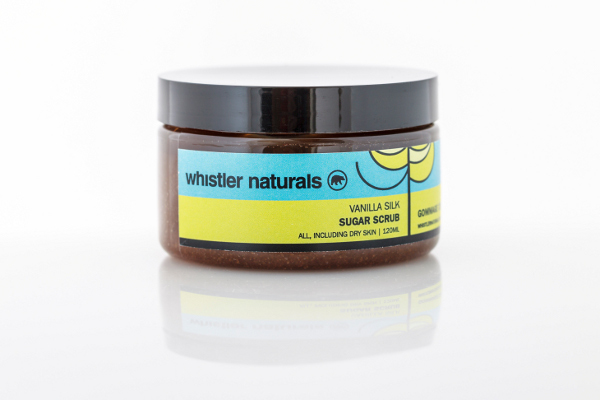 Whistler Naturals is out to prove you don't have to sacrifice your whole paycheck for natural skincare that's high-quality and effective. Bio-active and anti-aging ingredients abound in its cleansers, moisturizers, and bath and body products. For discerning consumers, the list of what's not in the products is just as impressive: parabens, synthetic preservatives, artificial fragrances and colours, and animal products. The best part? Individual products retail in the $15-30 range and can be found at your local grocery store. 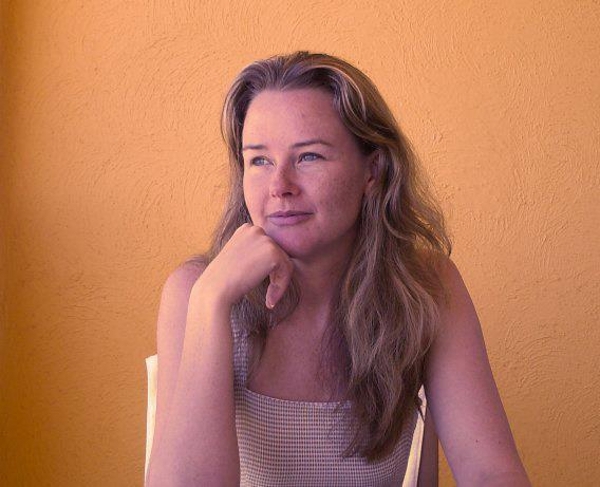 I caught up with one of Whistler Naturals's founders, Lisa McGregor, for the inside scoop. What inspired you to create Whistler Naturals? I worked in the natural health products industry in early 2000 and started learning about toxic chemicals in cosmetics. There were hundreds of companies creating natural skincare products for high-end customers and enjoying mark-ups of upwards of 600+%. At the opposite end of the spectrum, there were the “granola” skin care companies selling cheaper products at farmers markets and health food stores. But there was nobody in the middle selling quality skincare to the mainstream retail market. So I set out to create the high-end products I wanted to use, but at the prices I wanted to pay, and Whistler Naturals was born. Do you have a background in the beauty industry? I have a background in business and accounting and my business partner, Christie Angeloni, has a background in cosmetology and worked for years with Clinique among other beauty suppliers and spas. What were some of the challenges you encountered getting the line off the ground? Initially, the biggest challenge was finding a natural preservative that worked. Many skincare manufacturers told us there was no such thing as a “natural” preservative and the only options were the toxic ones, or they claimed to be using things like Vitamin E as their preservative, which we quickly found out doesn’t work. After tons of research, experimenting, and testing, we discovered a probiotic that is highly effective at preserving the final product and also really good for your skin. Currently, we are working with a laboratory in the US for rigorous product testing (no animals are used) and continue to run random batch tests of all of our products. 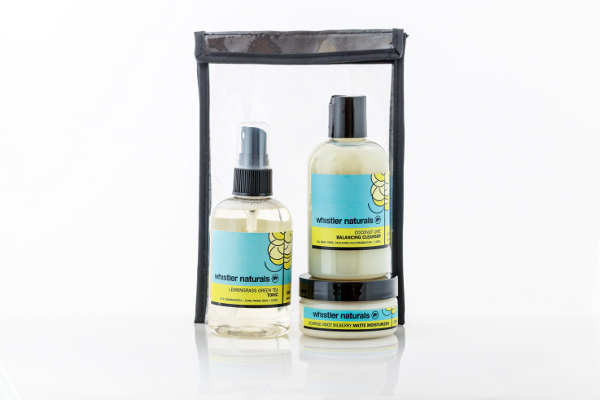 What are your favourite Whistler Naturals products? 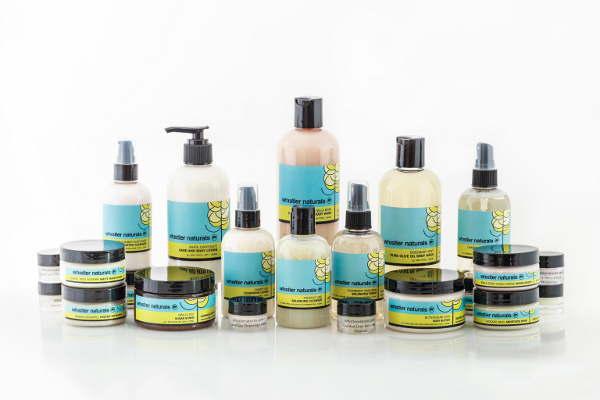 Our Vanilla Silk Sugar Body Scrub and Buttercream Icing Body Butter have always been huge favourites for both of us. I have to stop myself from using the scrub every day. I am also in love with our new Naked Apricot Lily Body Butter. Our most popular products are the Carrot Soy Cleansing Lotion and Triple Berry CoQ10 Crème Moisturizer, which are perfect for dry skin and also have natural anti-aging ingredients. How did you get your product into Save On Foods, Nesters, and IGA? I had experience in the natural health industry as the Canadian regional sales manager for retail accounts and we brought a number of products to market in Canada. I brought my experience with me to Whistler Naturals and it gave me the confidence and knowledge I needed to approach these accounts, along with a few others. What's next for Whistler's Naturals? We have a couple of big projects up our sleeves, but first we are moving to a bigger location as we have quickly outgrown our current space. A 100% Natural Sunscreen lotion, in addition to a ski/bike face protector are close to being ready for launch, and we are also working on a baby product line. We are also really excited to be auditioning for Dragon’s Den this spring, so keep an eye out for us – this is going to be a really exciting year! Whistler Naturals products are available online and through these BC retailers. Wow, Lisa! I love the article ~ thank you! You're very welcome! All the best with Whistler Naturals's upcoming projects. Thanks for this article Lisa! Totally up my alley and really interesting. I'll have to check this out. Let me know how you like it if you do! I'm pretty in love with the Vanilla Silk Sugar Body Scrub myself.